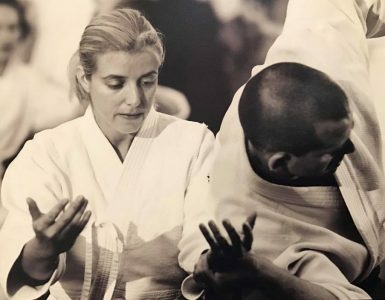 This post is about you and your aikido. 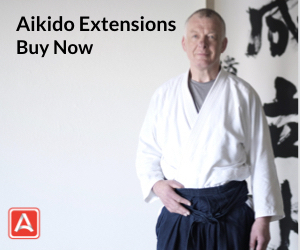 If you are like many practitioners, your involvement in aikido consists mainly of your dojo experience. Good workouts… good friends… generally a sense of having spent your time productively. But what is the ultimate goal of your training? 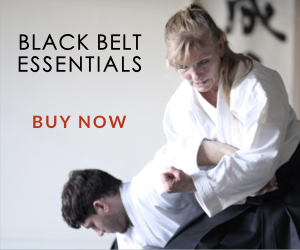 Are you out to learn self-defense, get some exercise, get a black belt? What motivates you really? I have some thoughts on this subject. 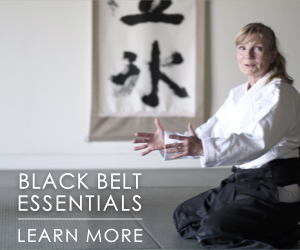 Start by discovering what the Founder of aikido regarded as the purpose of his art. Seems like a good place to begin, wouldn’t you say? Let him serve as your compass. Learn what key events occurred in his life that led him along the martial and spiritual paths culminating in his creation of aikido. They are highly relevant to you in today’s strife-ridden world. I’m not talking about becoming a history buff. I’m talking about learning and getting guidance from Morihei Ueshiba as a mentor today in your life, to enhance your personal goals. 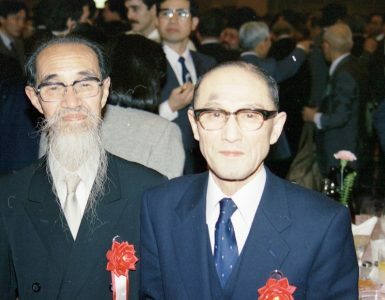 If O-Sensei — as the Founder is often called — is just a picture on the wall, a name occasionally tossed around, you’re overlooking the ultimate resource of any follower of the Aiki path. If Morihei Ueshiba is simply a funky little old man with some cool techniques that you can see in old grainy films, of what real use to you is he? Well, I think if he were alive today and active on the mat in his prime, he would be a rock star! Oprah would surely try to get him on her show. Forgive the hyperbole… I’m referring to the fact that O-Sensei in person inspired hundreds of thousands of people to embark on the aikido path, to overcome their life’s fears and to better themselves. He was incredibly skilled at his art and possessed a magnetic personality. Though a man of small stature, he was a giant on the mat, someone capable of changing lives in a single meeting. But alas, he is no longer with us. I missed meeting him by two months to the day. You missed meeting him in person too. Where does that leave us? In my case, the image of who the Founder was, the magic of his art, and what he accomplished in life was an irresistible magnet. Unbeknownst to me at the start, I would dedicate my life to learning every minute detail possible about O-Sensei, all his struggles in life, how he transcended and was shaped by the horrors of war, and yet found spiritual calm. I offer you the results of my more than 40 years of research in the hope that it will be of good use to you as an aikidoka. The lessons from the Founder’s experience can add a spark to your life and a reference point to guide your training and achieve your life goals. 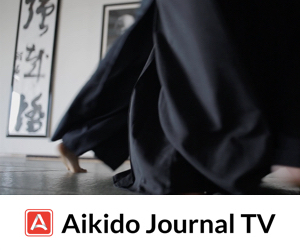 Through Aikido Journal, I hope to tell the story of what happened to me, why my experiences and findings might be of great benefit to you, and what you personally can do from this moment forward to make something splendid of your aikido.